What do you say when an insurance lead objects to your sales call? Instead of panicking, try the four sample scripts outlined in this guide. 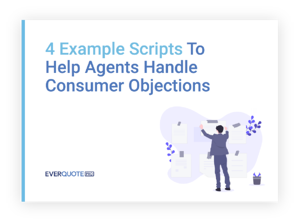 Download the sample scripts—and tips for making scripts work—today for better sales conversations, and more closed deals.